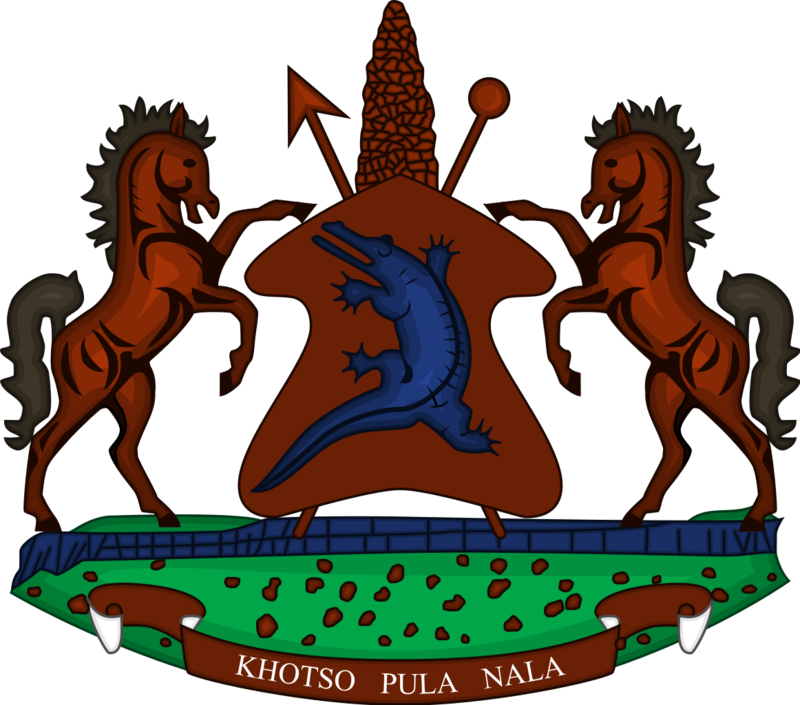 The Honourable Monyane Moleleki is the Deputy Prime Minister of the Kingdom of Lesotho. He was sworn to his position on June 2017 following his election as Member of Parliament representing the Alliance of Democrats (AD) political party during the June 2017 snap elections. He is also the Leader of the Lower House (National Assembly) and responsible for Parliamentary Affairs. Honourable Moleleki is the Leader and founder of the AD political party which forms part of the current Lesotho’s Coalition Government. Honourable Moleleki was educated at Nazareth Primary School from 1957 to 1965 and Christ the King High School from 1966 to 1970. He studied at Thompson Foundation (of the United Kingdom) where he obtained Diploma in Journalism and Diploma in Broadcasting-Common Wealth Broadcasting Association (C.B.A) course at Dar-es-Salaam in Tanzania from July to October 1994. He graduated from Moscow State University with Certificate and Master of Arts Degree in Mass Communication in 1982. He also holds Certificate in Educational Television Broadcasting from the University of Witwatersrand in 1982. Honourable Moleleki has worked at Lesotho Highlands Development Authority (LHDA) as Public Relations Manager and Public Communications at the National University of Lesotho (NUL) attached at the Maseru campus, Institute of Extra Mural Studies (IEMS). He has served as Member of Parliament and Cabinet Minister in various government ministries since 1993. In 1993, he was elected Member of Parliament (MP) for Senqunyane Constituency representing the Basutoland Congress Party (BCP) under the leadership of the late Dr Ntsu Mokhehle. He was appointed the Minister of Natural Resources, the position he served in until 1996 when he was transferred to the Ministry of Information and Broadcasting as Minister. He was re-elected into the National Assembly in 1998, this time for the Machache Constituency No. 38. Following his election as MP, he was again appointed to serve in the Ministry of Natural Resources as Minister. Hourable Moleleki was again in 2002 elected to the National Assembly, and appointed Minster of Natural Resources and later was transferred to being the Minister of Foreign Affairs until February 2007. In 2007, he was re-elected a Member of Parliament for the Machache Constituency, this time representing the Lesotho Congress for Democracy (LCD) political party under the leadership of Dr Pakalitha Mosisili. He served as Minister of Natural Resources from 2007 to 2012. In 2012, he was elected the Deputy Leader of the Democratic Congress (DC) led by Dr Mosisili. DC came as result of breakage from the Lesotho Congress for Democracy (LCD) in 2012. Following the 2012 general elections, Honourable Moleleki was re-elected into Parliament for Machache Constituency representing DC. The DC political party failed to form a government as the three political parties (All Basotho Convention (ABC), LCD and Basotho National Party (BNP) joint forces to form the first Coalition Government in Lesotho led by Dr Motsoahae Thomas Thabane. Honourable Moleleki was therefore appointed Leader of the Opposition in the National Assembly and served in this position until 2014 when the country prepared for snap elections due to failure of the then Coalition Government. In February 2015, he was re-elected as Member of Parliament for the same constituency and political party thus DC. He was appointed to the position of Minister of Police and Public Safety under the Second Coalition Government, which was led by the then Prime Minister, Dr Pakalitha Mosisili. He served in this position until November 2016. In November 2016, he resigned from his position as Minister of Police and was suspended as Member of DC for six years. Following his suspension with other members from the party, he led the formation of the new political party named Alliance of Democrats (AD) and was elected Leader of the party. Following failure of the Second Coalition Government to complete its five-year term, the country conducted snap elections in June 2017. In 2017, Honourable Moleleki was re-elected to the National Assembly as MP for the Machache Constituency, this time representing AD. He was appointed the Deputy Prime Minister and Minister responsible for Parliamentary Affairs. He was born at Mohlaka’tuka in the Maseru district. He is married and is blessed with a son, two daughters and one granddaughter.